Located a convenient short drive from Interstate 15 in southern Utah, Zion National Park is the perfect destination for visitors looking for a short day trip from Salt Lake City or Las Vegas and is sure to bring entertainment for the duration of any stay. Home to mountains, coniferous forests, beautiful rivers, canyons, lush riparian zones, slot canyons, monoliths, natural arches, buttes, and woodlands, this park has something for everyone. The park contrasts beautiful deserts and rich forest lands. Home to hundreds of miles of hiking and biking trails, Zion National Park will keep challenge you physically while sweeping you off your feet with its views. Animal lovers will find over 300 unique species of mammals, reptiles, birds, and fish, including 19 species of bats. Ancient native dwelling sites exist in abundance. The area encompassed by Zion National Park has been home to humans for over 8,000 years, and artifacts of their existence are abundant. Some of the world’s best rock climbing is available along with bouldering, rappelling, and natural swings. Be sure to check with the ranger station before setting off on any adventures as conditions can wildly fluctuate in this diverse and beautiful landscape. Zion Under Canvas offers unique glamping accommodations for travelers. 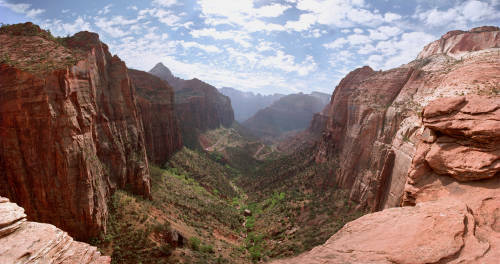 Zion Under Canvas is located on 196 acres bordering Zion National Park, a guarantee for gorgeous views. Zion Mountain Ranch is a premier resort property that offers unique lodging unlike anything else in the area. 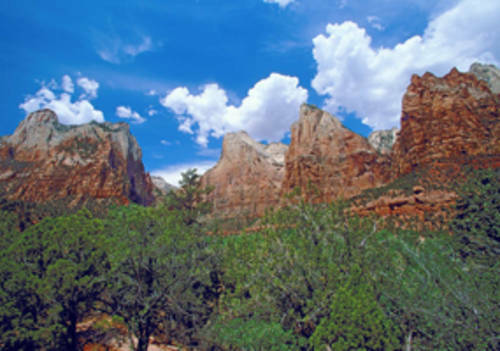 Zion Mountain Ranch owns 300 acres of pristine acreage just outside of Zion National Park.